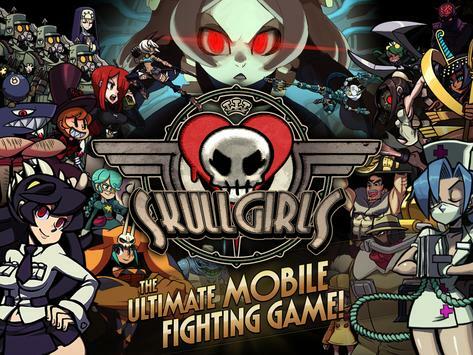 Skullgirls is a 2D Fighting RPG packed with unique, colorful characters to collect, upgrade, and customize as you search for the mysterious SULLGIRL! Thousands of frames of carefully handdrawn 2D animation delivers one of the most visually polished games youll play on mobile! Custom controls designed specifically for mobile allow you to effortlessly execute a wide variety of amazing moves and combos with a single tap or swipe. New Fighting Game player? Use Fight Assist and focus ONLY on strategic decisions. Experienced Fighting Game player? Discover deep tactical choices, unique combos, juggles, and more! Finally, a Fighting Game for everyone! RPG players will feel right at home! Collect dozens of Characters that can each be customized in a variety of ways to suit your playstyle! Unlock Special Moves and Blockbusters that can be upgraded and equipped before each battle pick the perfect loadout! Build teams of up to 3 Fighters find the best combination to maximize synergies! 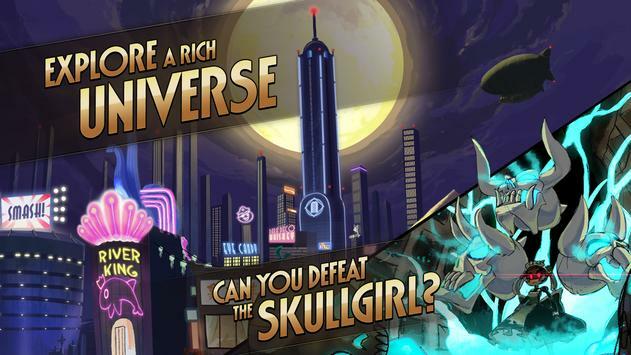 Story Mode Seek out the Skullgirl before she destroys New Meridian! Prize Fights Compete with other players to unlock new Fighters! Daily Events Characterspecific events are added daily can you conquer them all? Training Practice combos, try different team combinations and perfect your technique! Please review Skullgirls Game and submit your comments below. We will collect all comments in an effort to determine whether the Skullgirls app is reliable, perform as expected and deliver the promised features and functionalities.